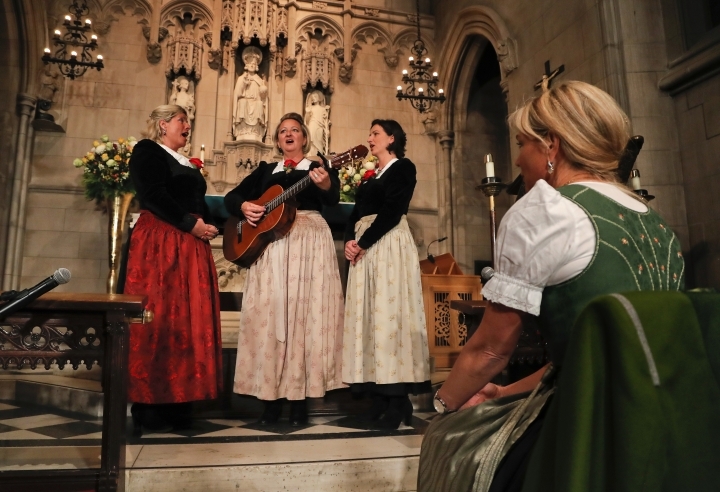 NEW YORK — One of the most famous songs of Christmas was celebrated Tuesday as it approaches its 200th anniversary, with a concert at the New York City church where "Silent Night" is believed to have been sung in the United States for the first time and where a priest was the first to publish an English translation of the Austrian carol. 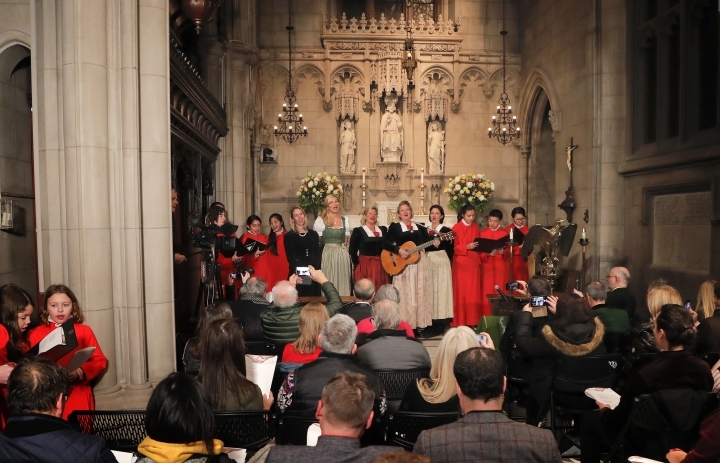 The performance of the carol by Austria's Kroll Family Singers and ensembles from Trinity Church took place at the Alexander Hamilton memorial in the Trinity churchyard. The singers stood in front of the memorial in the darkened yard as onlookers gathered and horns from passing cars beeped on nearby streets. 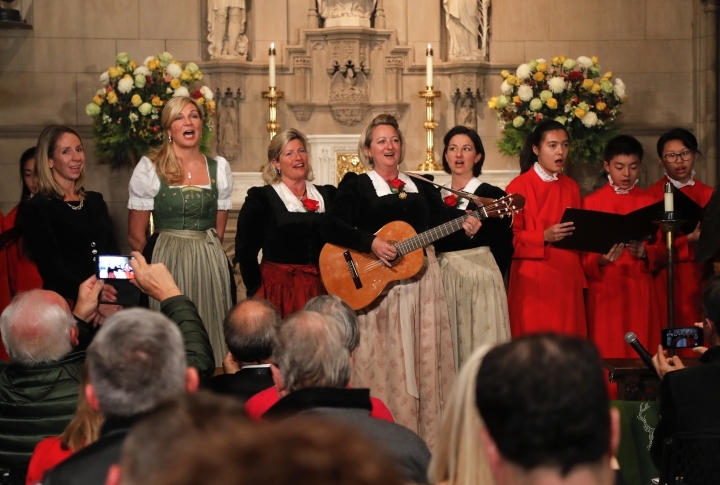 The Kroll singers opened the carol with verses in the original German, followed by the Trinity singers with verses in languages including French, Spanish, and finally English. After the outdoor performance, they went inside the church, where the Austrian group sang some other songs before they finished with another rendition of "Silent Night." The song resonates with people because of its simple melody and straightforward message, said Elisabeth Frontull, a member of the Kroll group. "You sing it from the bottom of your heart; that's the reason why the song is so popular," she said. 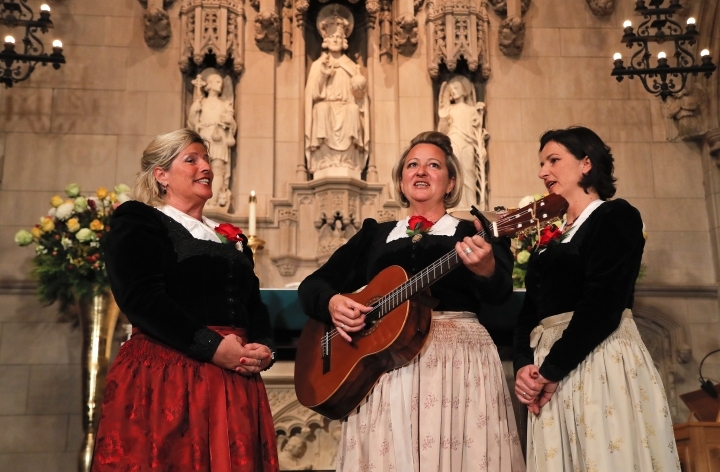 Organizers of the event said it's believed the song was first sung at the Trinity Church location in 1839 by the Rainer family singers, a traveling singing group from Austria. "Silent Night" initially debuted as a musical piece in December 1818, with words by Joseph Mohr, a priest, and music by Franz Xaver Gruber, in Oberndorf, Austria. In 1859, a priest at Trinity, John Freeman Young, published the first English translation of three verses of the carol, including the well-known first verse that ends with "sleep in heavenly peace." It has become one of the most recorded songs in the world and declared as part of Austria's cultural heritage. To mark its anniversary, Austrian tourism organizations put together a number of events in that country, including concert and exhibitions. 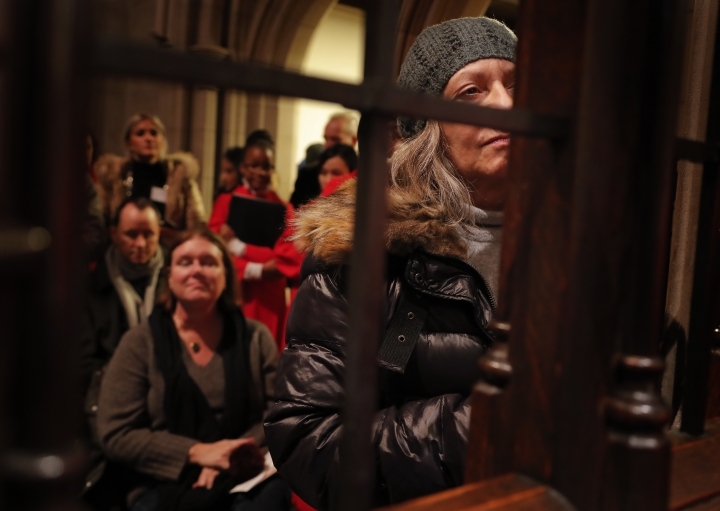 The concert at Trinity — a historic church and tourist attraction that survived the destruction of the nearby World Trade Center in 2001 — was the only stateside event done through that effort, said Sigrid Pichler, spokeswoman for New York City's Austrian Tourist Office. "It touches the hearts of people deeply," she said. "It's a very simple song, it has an eternal message of peace. It is also something that the whole world needs to hear."